Like many other things in our world, bookmarks have also gone social. Now, even the act of saving interesting things has become something we share, as can be seen on services such as Pinterest, Delicious and Pinboard. 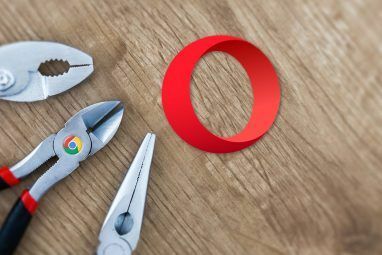 On top of making bookmarks social, these services also index your favorite websites and images and makes them easy to search through. This is a really useful feature, which is sorely lacking from regular, private, non-social bookmarking. 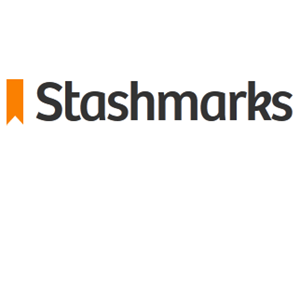 But if you’re not really into sharing your entire bookmark collection with the world, but would still like to quickly search and find everything within your bookmarks without having to memorize every folder and title, you’re going to love Stashmarks for Chrome. Stashmark is a web app and Chrome extension combination. To start using it, point your browser to Stashmarks and find the “Add Stashmarks to Chrome” button. Stashmarks is 100% free, as stated on the button, but you will have to create an account before you can start using it. Once installed, this message will pop up. You will also see a tiny Chrome icon which now lives in your taskbar. This is Stashmarks, constantly on the lookout for new bookmarks. It will keep on doing this even while Chrome is closed, so you can count on it always being synchronized, even if you’ve just launched Chrome. After you create an account, Stashmarks will start uploading your bookmarks. This shouldn’t take too long, depending on the amount of bookmarks you have. If it seems to be taking too long, try hitting the refresh button. When the process is complete, your searchable bookmark index will load up, ready to be searched. Stashmarks will turn your bookmarks into this good-looking, magazine-style list. Each bookmark gets a title, a domain, a short description and some tags. Let’s say you wish to find all bookmarks which deal with “Windows”; just start typing your query in the search box and watch as the results are filtered right before your eyes. The search is live and instant, and you can easily search for more than one word and find specific bookmarks. This is especially useful for those times when you simply know you’ve bookmarked a website but can’t remember what it’s called. With Stashmarks, you can type in something you remember about it, and instantly find it. Another really great feature is the tags. The tags are actually your bookmark folders, which are conveniently used as tags in Stashmarks. You can filter your bookmarks by tags (folders) by clicking on the tag name. If you use your folders wisely, this can become an easy way to tag your bookmarks and then search by tag. Stashmarks is also a Chrome extension, so it blends right in with your regular workflow. You bookmark websites as usual, and they automatically synchronize into Stashmarks. The folder you choose becomes the bookmark’s tag. If, for some reason, you’ve added bookmarks and you can’t see them in Stashmarks, there’s a way to manually synchronize them. Right click on the Chrome icon in your taskbar and choose “Stashmarks”. 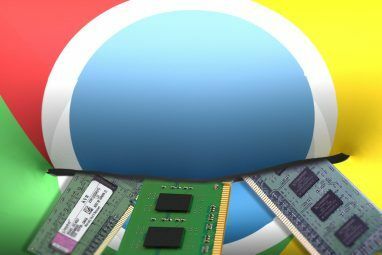 A Chrome window will open, with an option to manually upload your bookmarks. After doing this, all your bookmarks should be fully synchronized. Stashmarks is a truly great find, and solves a real problem for people who need to search through their bookmarks (and who doesn’t? ), but don’t want to use a third-party service for their bookmarks, or share them with others. As for me, I recently moved back to Firefox. Stashmarks should be available for Firefox in the near future, but right now only works with Chrome. So are there any good options for Firefox that you know of? Or better services altogether? Share in the comments! IMHO Firefox's strongest feature is its bookmark tagging, and it's a department in which Chrome is sorely (100%!) lacking. I think for Firefox this kind of extension isn't essential because the tagging works so very well, but for Chrome it sounds (not sure - don't have an invite yet...) indispensable because otherwise your bookmarks are worthless. Xmarks (formerly Foxmarks) does the job for Firefox. 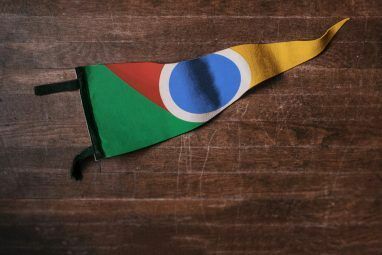 Doesn't chrome have a built in bookmarks syncing feature? Does Xmarks let you live search through your own bookmarks? I looked at it and couldn't see such a feature, but maybe I'm missing something. folder is different from tag. A bookmark can have many tags, but only one folder. So, Stashmarks deal with tags or folders? It turns your folder into tags of sorts, but you're right, it's not really tags because you can't give a bookmark more than one. On the other hand, you don't really need to, because you can search through your bookmarks using keywords.